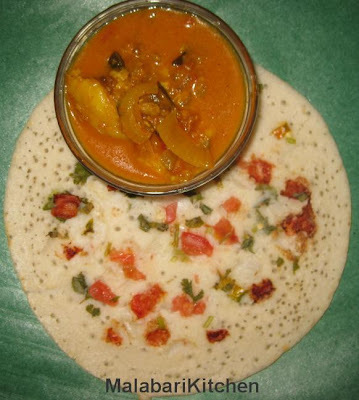 It is a south Indian dish and is a form of thick dosha(dosa).It is usually made with left over Idly or dosha batter. Let us see how Onion-Tomato Uthappam is made. =►Preheat tava or griddle and spread little oil on it . =►Pour a ladleful of batter& spread the batter into a thick dosha with ladle. =►Cover it with a lid and cook for 2-3min in medium heat. 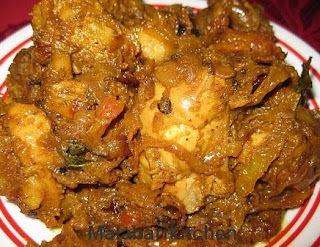 =►Serve hot with any gravies or chutney. I am Lisha Ajish.I love cooking. 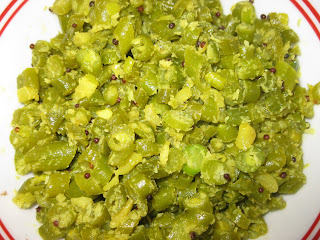 Through this blog I wanted to share some of my recipes to all my friends.